Africa is a continent rich in resources, especially food-related products. The entire country has a wide range of foods that grow here, leading to the locals utilizing these throughout history. Africa is known for using local fruit, vegetables and basic grains to make their own food products. In Africa we can easily find meat and milk products and they are rich in vitamins and protein so that we can easily get healthy and natural food in whole Africa. The diversity of African food is as diverse as the continent. Rice is one of the most famous foods in the entire world. There are many different kinds of dishes that you can create that require rice. It’s also one of the staples in the African diet. In Africa, specially in West Africa, you can find a tasty dish called Jollof Rice. This is a one-pot rice dish famous in Africa. Jollof rice is actually made differently depending on the country. 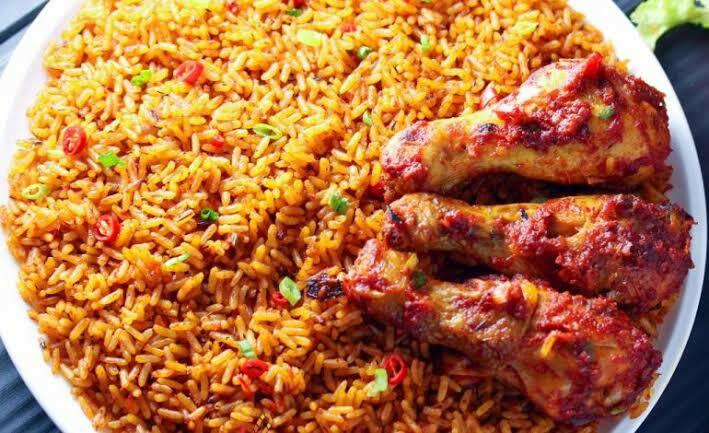 Nigerian jollof rice and Ghanaian jollof rice are some of the most recognized around the world. Locally, you may hear Jollof Rice being a variety of names such as Benachin, riz au gras and theibou dienn. Its main ingredients are Rice, Beef (sometimes goat meet) tomatoes with tomato paste, onions which makes it a tasty rice dish in West African foods. Jollof Rice is a favorite dish for family parties and dinners. 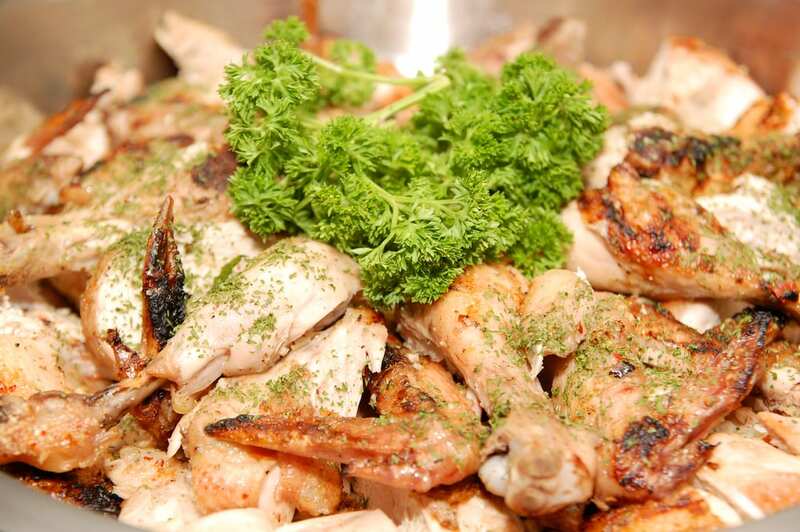 Piri Piri is a great grilled chicken food recipe most famous in Africa. Portugal actually played a major role in the creation of this dish. Chile peppers are a prominent ingredient for this dish. Portuguese settles arrived in Africa with these peppers called Piri Piri. Now, Africans have adopted it as their own, making it a very popular meal to consume around the continent, especially in Angola and Mozambique. It is eaten as a main meal due to the time it takes to prepare it. It takes at least four hours for marinating the chicken before it will actually be grilled. Other ingredients include fresh ginger, peeled and sliced, large shallot, peeled and quartered, garlic piri piri sauce, lemon juice, coarse kosher salt, and other basic ingredients. In Africa, everything in this dish is fresh and organic, made with local foods. 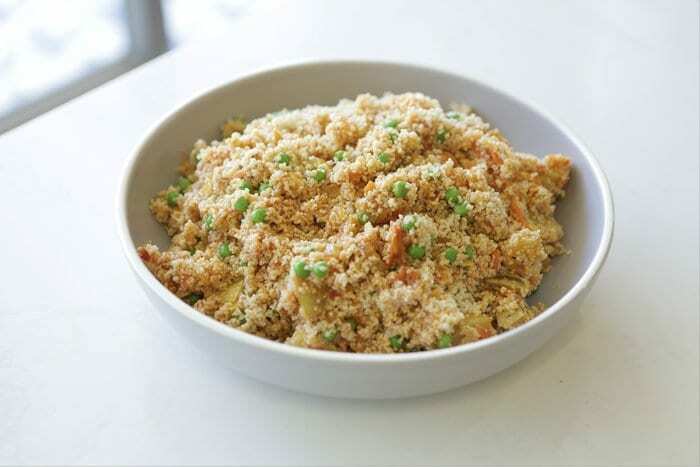 Couscous is a delicious dish in Africa, very popular for people who want to have a healthier lifestyle. Its rich in proteins, giving it plenty of nutritional benefits to human body. It’s a Maghrebi dish and created with small steamed balls of crushed durum wheat semolina. These are also ingredients found naturally in Africa. It’s a very traditional dish that has been around for centuries. It is usually served with a stew spooned on top, adding to the rich flavor. With calcium, vitamin and iron, its one of the most nutrition rich dishes consumed in Africa. No discussion about the most popular foods in Africa is complete without mentioning Injera. 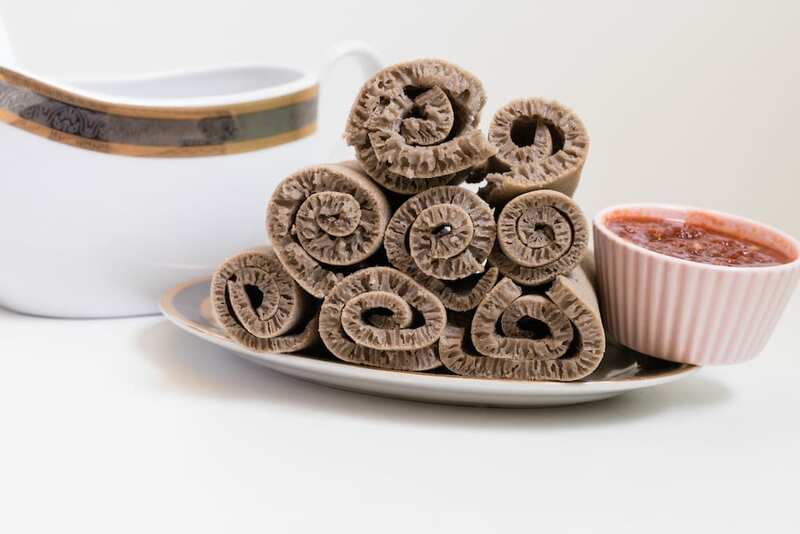 Injera is actually the national dish for several countries, including Ethiopia, Somalia, Djibouti and Eritrea. These are countries from the Horn of Africa, where it originated. 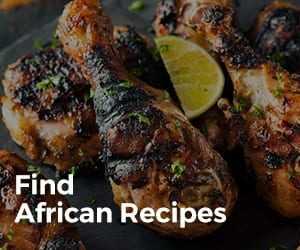 People in Africa mainly enjoy this meal because of the great flavor, which can vary depending on the country it’s made in. Its main ingredients are Teff flour, made from a combination of barley, millet, and corn. Rice flour can also be used. 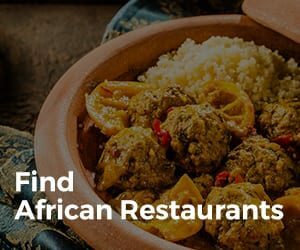 It’s served in numerous restaurants, whether local or major restaurants throughout the continent. It may also be called by its alternative name of Lahoh. Africa is known for it’s great meals but also has many popular snacks that people enjoy throughout the day. One of the favorite snacks to consume in Africa is called Alloco. Alloco originated in West Africa, but has since become widespread in many of the African countries. Alloco also has several names that refer to the same treat. For example, in Côte d’Ivoire and Nigeria, it’s called dodo. Cameroonians call it missol. In Ghana, locals know it as kelewele. Despite the many names, the all point to this very common snack. The main ingredients include Parsley, Green pepper, Tomatoes, Onions, and other organic foods grown on the continent. If you want to taste an authentic African dish, then Alloco is highly recommended. Another traditional food in Africa that’s still widely consumed today is Fufu. 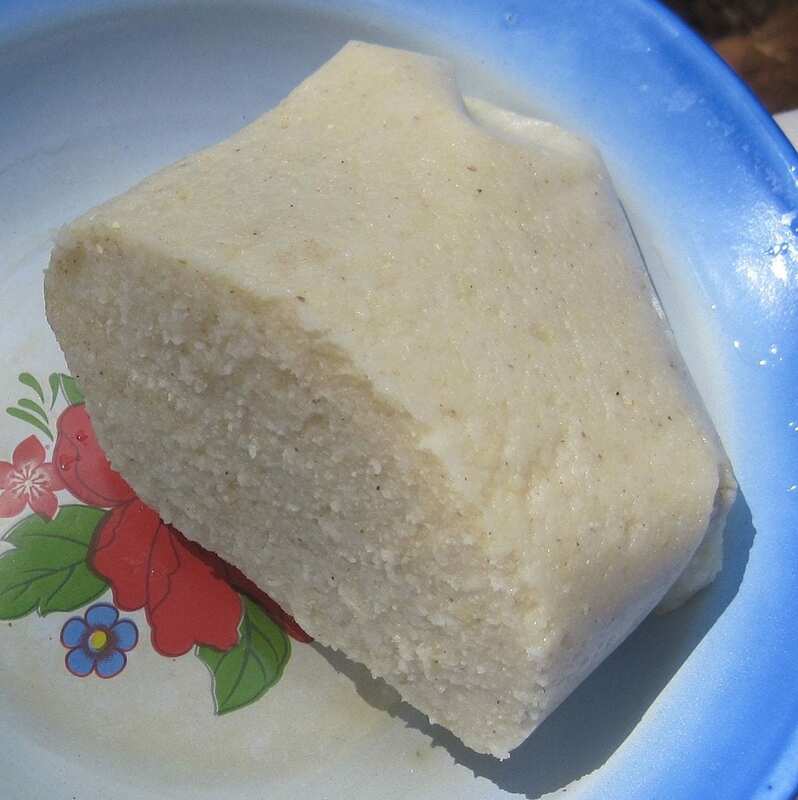 Fufu is mainly eaten as a finger food. Its made of starchy food crops that you find on the continent of Africa. 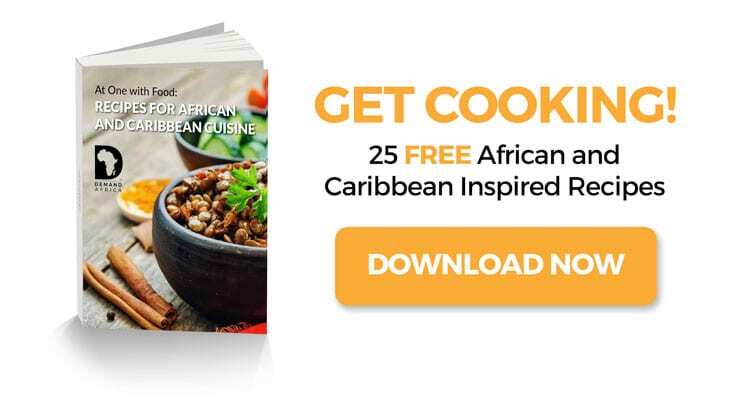 Some of the main ingredients include cassava, yams, plantains, and cocoyams. It’s made by pounding these ingredients together. It gives a shape and consistency of a dough recipe. And that’s it! Fufu can either be eaten alone or with other foods. One popular way of eating it is by dipping a ball of Fufu into any preferred soup or sauce that you like.